Home character development point of view in fiction writing writing technique What Does Point of View In Fiction Writing Mean?? What Does Point of View In Fiction Writing Mean?? Point-of-view is probably the most important technique we have as fiction writers. This includes memoir writing. Everything in story arises from point-of-view: most powerfully motivation and, ultimately, story line. I believe you can have a wonderful story without a complicated plot. I don't believe you can have an interesting, much less wonderful story if you have all kinds of twists and turns of plot but the characters are skeletal. One of the reasons Stephen King became such a huge success is that he changed the horror genre by writing fascinating, fully developed characters about whom the reader cares. And he has dynamite plots. Now that's a great combo. "Dear Reader, this is whose story I am telling. This is the person (or persons) I want you to care most about. This is the person (or persons) whose mind and heart you are going to get into." A reader wants to care about the characters. 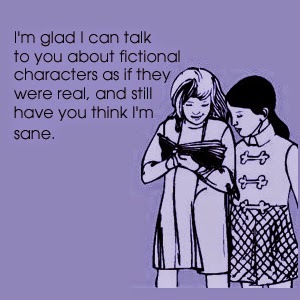 It’s one of the reasons we read novels. We want to escape into another world and into other people’s skin. We want to understand the character, even if we don’t like everything they say and do. And ultimately, I believe we want resolution for the characters. This does not mean a necessarily happy ending; it means that even if the main characters dies at the end, there is a sense of resolution. The writer, too, must journey out of self and become the character. You don't want your characters to be you. The movement is always out of self into character. As you step out of your own skin and into the body of your character, as you see the world through your character's eyes and feel what your character is feeling, so will the reader. This is not always easy? In fact, it can be the hardest journey a writer can take. How Many Point of View Characters Are Optimum? I would say four, maybe five. But you may have only one. There’s no absolute measure for this. Can you have too many point of view characters? Absolutely! You see this in novels where the writer gets into almost everyone's point of view, even if it's a character who appears once and is never seen or heard from again. This is sloppy writing. It dilutes the story and takes away from our involvement, from our caring what happens to the characters. How many times have you put down a book and simply forgotten you are reading it? There are different reasons for that, some of which have to do with the interests of the reader. Sometimes it simply bad writing. Other times it has to do with poorly developed characters, meandering story line (diluted by too many point of view characters) and too much telling. Show Don't Tell is the fiction writer's mantra that many writers don't understand much less know. Creating strong, clearly defined point of view characters is a sure fired way to show and not tell. The best compliment I can receive from a reader is that they couldn't put the book down; they stayed up till 2 in the morning to read it and they hated saying goodbye to the characters when the story ended. That means, I did my job. That means, I created three-dimensional, full-blooded energetic characters who had a life outside of me. Are you interested in developing three dimensional characters? Interviewing Your Characters private session. Or explore my coaching more fully at my website, The Fiction Writer's Journey.